Magician Yu Ho-jin won first prize at the International Federation of Magic Societies World Championship of Magic held July 9-14 in Blackpool, England, beating out magic legend Marco Karvo from Finland. Yu is the first magician from Asia to win the top prize at the competition. The 21-year-old has won a number of local and international awards during his seven-year career. He won second prize at Busan International Magic Festival in 2010, and first place at Club Magic Italiano Grand Prix in 2010 and World Magic Seminar Asia in Japan in 2011. 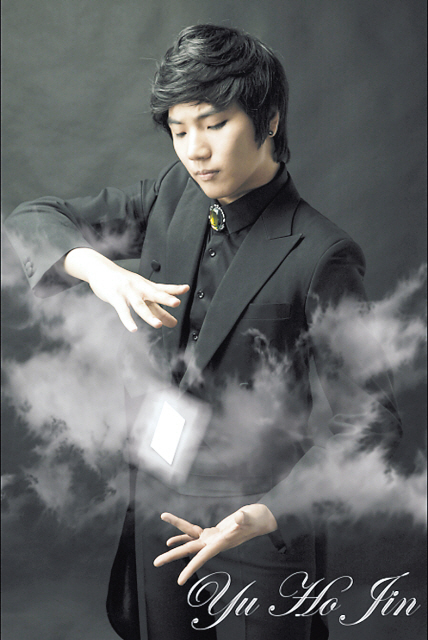 Also in 2011, Yu became the first magician to receive the President’s Award. In addition to Yu’s title, Korea set a record at the FISM world championship by having the youngest grand prix winner, receiving the most awards, eight, and taking the top-three places in the “Manipulation” section of the event. “Korean magicians represent the world’s magic. It almost seemed as if I were watching ‘Korean Week,’ not the World Championship of Magic competition,” said Eric Eswin, the president of FISM. Some 150 magicians from 50 countries, including 12 magicians from Korea, participated in the FISM World Championship of Magic in its 60th year this year.